As part of our commitment to supporting researchers worldwide, we have created two free-to-use online tools to support clinical research in diabetes or obesity. Click the links below to activate the tools. The duration of action and half-life of various insulin types differ, and thus the steady state of each type can be different. This simulator models how the different types of insulin behave before and at steady state. You can see the effects of missing or doubling a dose and how variability interferes with the planned insulin level. 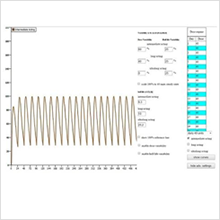 Click to go to the steady-state simulator. The standard smoothing procedure used during the analysis of glucose clamps for the evaluation of glucose infusion rates is a weighted regression technique called LOESS. It helps with graphical interpretation and with the calculation of parameters like Cmax and Tmax. Our simulator models the effects of different insulin types, smoothing factors and LOESS implementations. Click to go to the GIR smoothing tool. Use the free tool to model the effects of different insulin types, smoothing factors and LOESS implementations. 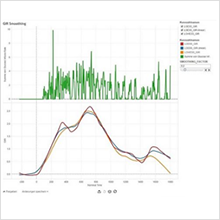 Use the free tool to model the in-vivo behaviour of different insulin types using our Insulin Simulator. The Profil Institute for Metabolic Research has developed two online tools that support clinical diabetes and obesity research. One is a steady-state simulator for insulin, illustrating the behavior of different types of the peptide hormone before and at steady state. The second is a simulator of the standard smoothing procedure used during the analysis of glucose clamps for the evaluation of glucose infusion rates.